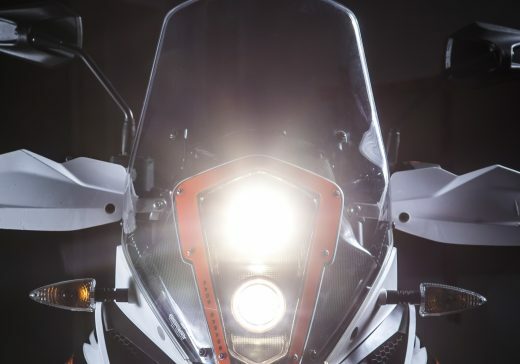 Combination of transparent windscreen, strong LED lights and orange anodized headlights tubes is giving the KTM 1090 or 1190 a fresh look. 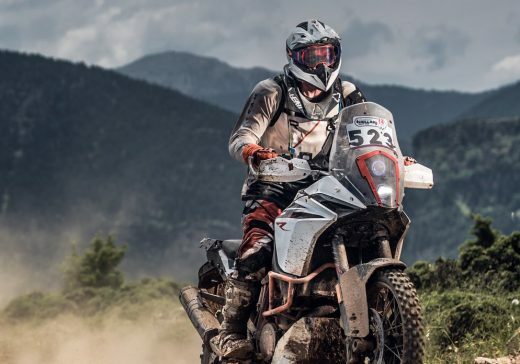 The design was inspired by the famous KTM Rally Replica. The RR kit includes an aerodynamic transparent windshield,which naturally extends the upper contour of the cockpit. Not only it gives the bike a new, amazing look but also provides good wind protection for the rider. The road legal LED headlights (ECE certified) are assembled from high end components such as true Cree chip with 70W output. They will lighten the path in front of you, no matter what darkness or elements the journey decides to throw at you. 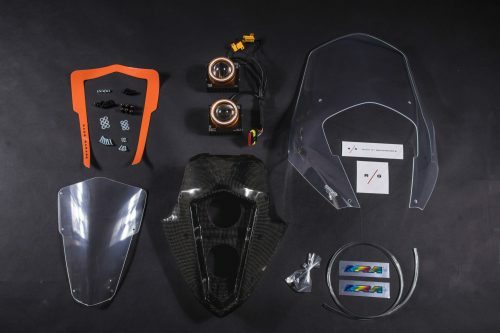 How does the KTM 1090 1190 1050 RR kit work? 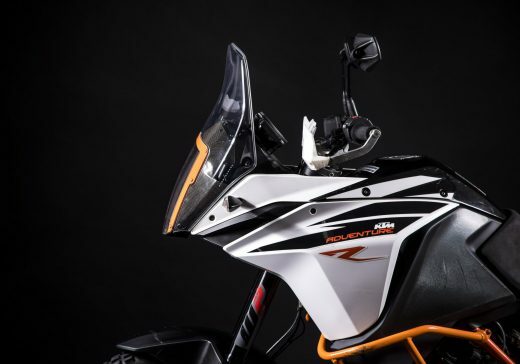 What is included in the KTM 1090 1190 1050 RR kit? The install takes about 3 hours. We designed the kit (and all of our parts) so it can be installed by a single person – “one pair of hands” easily. Please follow the install guide below.